Track legislation wherever you go. Available on the App Store. 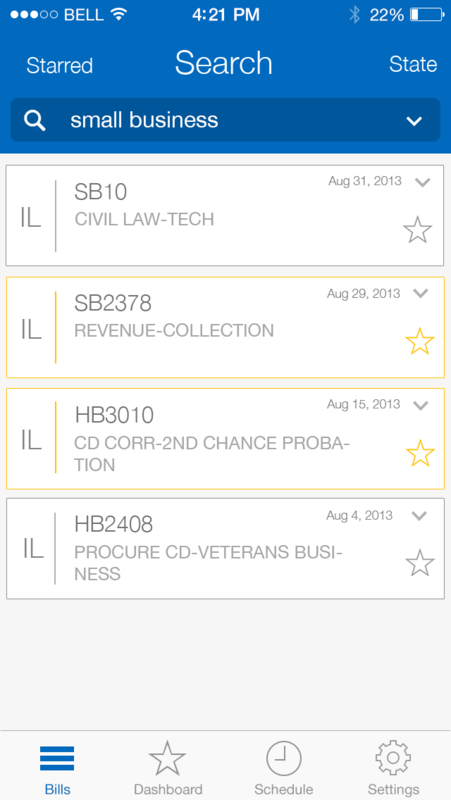 TrakBill is an application for tracking legislation for those working in government. As a result, the user interface sought out was more traditional. Quickly read all the important information about the bill or star it with one tap to make sure you can actively track it. Find what is new with certain bills so that you can better understand the state of the government, so we can help you make your own job easier.